Albert has dedicated the past 10 years as a designer working for various art agencies utilizing his computer and handcrafting abilities. Besides art, he is an outdoor enthusiast in hiking, backpack camping, biking and jogging. He believes in living a more self-sustainable life through farming and homesteading. Ana Heeren is originally from Brazil, but was raised all over the world before settling in Brooklyn with her family. She has worked in philanthropy for the past 7 years, focusing mainly on human rights and sustainability in Egypt. Now she is eager to explore these issues as they relate to food production closer to home. Elizabeth Haskett is a native California girl living the dream in Brooklyn. She is a professional chef with a keen interest in nutrition, foraging, traditional foods and food justice. She looks forward to creating a deeper and more empowering relationship with her community by learning more about urban agriculture and being part of the movement to build beautiful, nutritious and sustainable green spaces. Jacqueline graduated in Architecture in Guadalajara, Mexico. Co-founder of the architectural and urban planning firm CITAD, she developed her career between Mexico and Italy, where she worked on urban planning and design, mobility strategies and public space projects. She developed her abilities as a thought leader and creative urban planner, working towards innovative solutions for cities and people while pursuing balanced and healthy communities. She is interested in the Urban Farming Program to learn techniques and processes of agriculture and understand the relationship between food and society. Born and raised in the Philippines, Alexis “Jade” Palma Gil is an immigrant and a father of two who has always aspired to be a farmer. Jade has been a community organizer and educator for the past 15 years in both the U.S. and the Philippines — serving youth, workers, peasant farmers, urban poor, and migrants. He also worked as a field coordinator for relief and rehabilitation of rural communities after super Typhoon Bopha ravaged the southern Philippines in 2012. Passionate about healing through food and community, Katie is so excited to immerse herself in Farm School. She loves cooking, gardening, gathering people together around food, hosting dinners and developing recipes for her food blog, Self Love Kitchen. Her dream is to one day have a medicinal herb farm and community garden that serves as an educational center and home for local communities to come together and thrive. Laura-Sage Marshall is a 20 year old student, writer and former community organizer from Brooklyn, NYC. She is currently enrolled at Brooklyn College, where she studies Environmental Sociology, a concentration within the Urban Sustainability department there. She's passionate about urban farming because she is excited for the opportunity to teach other folks of color how to practice food sovereignty, and more physically engage with the food justice movement. Massiel Rueda is a Nicaraguan-American who hails from Manhattan, NYC. Her interest in the FIC stems from a deep love for our pachamama - a want to create a spiritually fulfilling, socially just and environmentally friendly world. Outside of work and studies you can find her at church, making music, learning languages or learning how to heal and liberate us from the 'smog' we are in. Farming has come to Samantha later in life. However, tending to the land and appreciating Mother Earth’s abundance came to her as child. To this day, she is guided by her Afro-Caribbean heritage in every decision she makes, every habit she develops, and every action she undertakes. 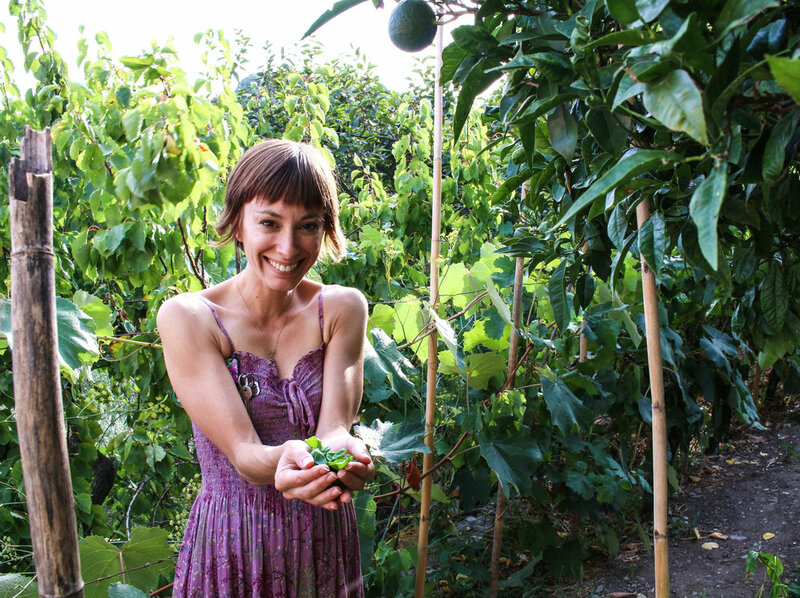 Samantha has participated in two farm seasons and has taken a liking to many aspects of sustainable living; food preservation, fermentation, and mycology. As a first generation woman farmer who aspires to own land she will greatly benefit from the relationships, knowledge, and experience at The Youth Farm. Tingting is a writer and filmmaker who was born in China and immigrated to America when she was seven. Her great grandparents were farmers, her grandma on mom’s side was a farmer and cook, and early childhood was spent running around with chickens in gardens. Eventually she hopes to reconnect to those roots. Learning how to grow and nurture urban spaces excites Tingting as she hopes to bring green back into our lives to heal the earth! New York City is always showing Zach new things and influencing his thinking in challenging ways. He wants to contribute to this dynamic city by making green spaces and fresh foods available to everyone so that we might turn down an unknown block and be taken by the beauty of a small garden and the smells of fresh vegetables sizzling in the kitchens next door.